Whether you are a first-time homebuyer, a longtime homeowner or a retiree with multiple residences, you need to protect your home. Nielsen-McAnany Insurance Services, Inc. works with homeowners to write customized homeowner policies that meet individual insurance needs. We’ll help you identify your personal risks and evaluate what type of coverage will be most effective in protecting your home and your family. If you have an existing homeowners policy, we’ll review it, checking for gaps in coverage as well as any discounts and money-saving options that may benefit you. Different insurance customers have different financial situations and different coverage needs. 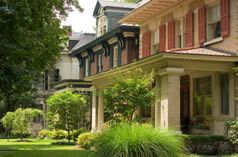 Homeowner insurance policies are available with a variety of limits and deductible amounts. Your agent will work with you to determine which options fit your budget while also minimizing your risks. You might choose to go with a high deductible and rely on savings to help you bounce back after a disaster, or you may wish to carry a lower deductible for more peace of mind. Your home matters to you. Let us help you protect it. Get your free online quote home today, and call us to learn more about your coverage options.